This modern home is nestled at the top of a cliff on a steep section with an amazing panoramic vista overlooking Tasman Bay. The house is on multiple levels and strung along the site in an east-west direction to maximise the views from every room and allow plentiful amounts of sunlight and daylight. A 3.6m stud height was used for the main living/dining/kitchen area with windows that generally run from the floor to the soffit. 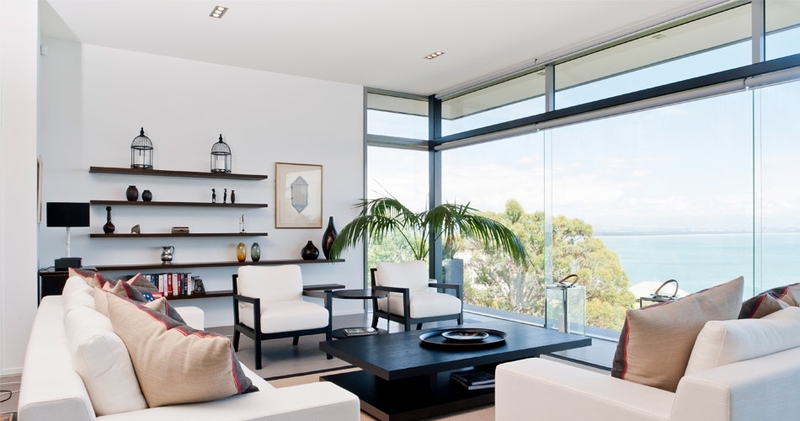 This, together with the glazing details allows the interior space to expand unconstrained towards the uninterrupted views to Tasman Bay and the western ranges. The floor level of the night/TV area steps-up on the eastern side of the house, which lowers the relative ceiling level, thus creating a space for more intimate living. However, one is not shut away from the view here as one can still look over the other living spaces to the views to the northwest. Large over-hanging soffits provide shelter and shading to deck areas, with high level glazing providing continuity between the interior and exterior. 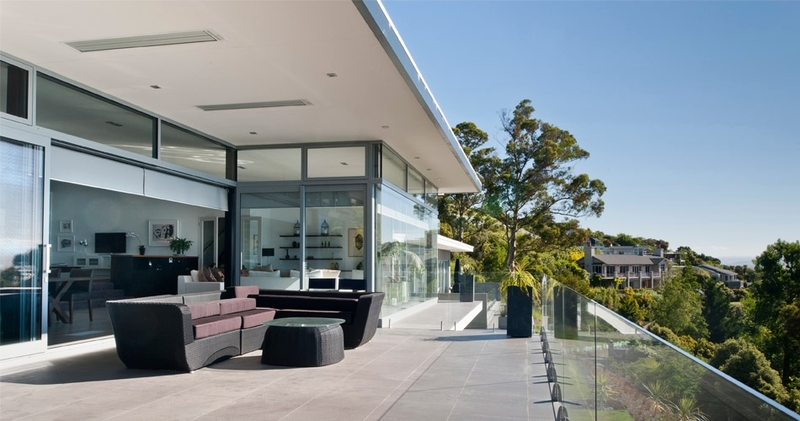 Horizontality is emphasised, with slender deck edges and roofs that appear to float above the internal spaces.